The finalists for the highly anticipated 2019 Nikon Surf Photo have been officially revealed. Recognising the best single surfing-themed image taken during 2018 by an Australian photographer, the annual awards follow strict criteria for all entrants. Focus for images is placed on dramatic effect, sensory impact, composition, innovation and creativity. Nominated photos can be taken anywhere around the world and can be drawn from action, water, lifestyle, line up or portrait photography. Seven-time women's surfing champion Stephanie Gilmore was among the judges. 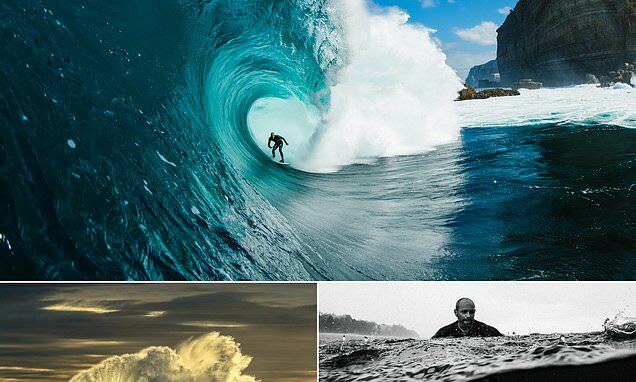 Veteran snapper Ted Grambeau has three images shortlisted, and the Currumbin based photographer told Daily Mail Australia he is hopeful of hearing his name read out next month.